L est you think Nashville is just a hockey town because of our rabid fandom of our beloved Predators, Music City is a pretty strong soccer town, too! (Soccer? That’s the one that’s like hockey on grass, right?) Seriously, Nashville has hosted some huge crowds for international football matches and World Cup qualifiers in the past, and our very own hometown Nashville SC will be joining the top-tier MLS in a couple of years. 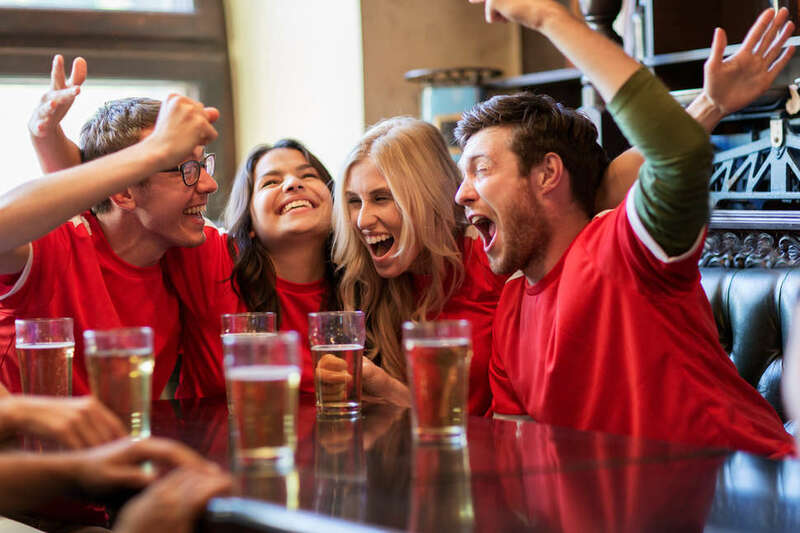 Suffice to say when the World Cup kicks off in Russia on June 14, bars will be filled with supporters, even if the US team won’t be playing this year. 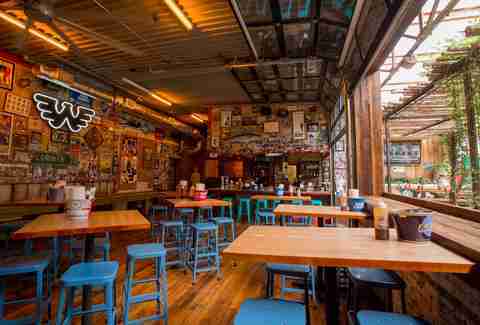 Here are some good Nashville bars for getting in on the action, and come back for more updates as the games heat up. You might have to search a bit to find this basement bar tucked away in Printers Alley, but look for the Union Jack and listen for the yells of the British faithful as they cheer on The Three Lions. The barkeeps at Fleet Street can also pull a perfect pint of Fuller’s ESB or a proper Guinness, as well as their excellent shepherd's pie. With outdoor seating, a comfy bar, the best wursts in town, and rows of long Viking-style tables, there are plenty of seating options at Von Elrod’s. Order a pint or a full liter stein of beers from around the world (including plenty from Deutschland) and an exotic sausage or their unique hot chicken schnitzel for a great meal while you cheer on the team. 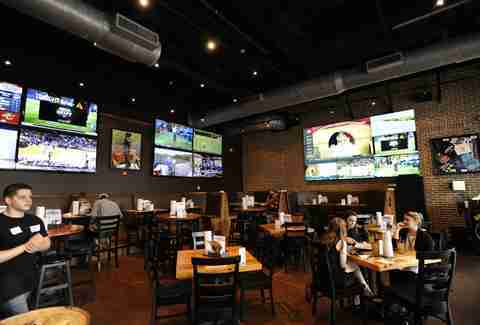 There are more pixels than wall space at Double Dogs, with high-tech screens that can show multiple games or convert into massive jumbotrons to show a feature match. You can even ask for a personal speaker to tune in to the particular game you’re interested in following so that nobody has to know that you’re actually cheering for Iceland. The Broadway Brewhouse, a small chain now with five locations, is wonderful all-around, but for our money, the Midtown spot is the go-to for the games. It's got more than 100 beers on tap and boasts a delicious Cajun food menu from the attached Mojo Grill, which serves up killer meals like the gumbo, jambalaya, and the Mojo pork sandwich. 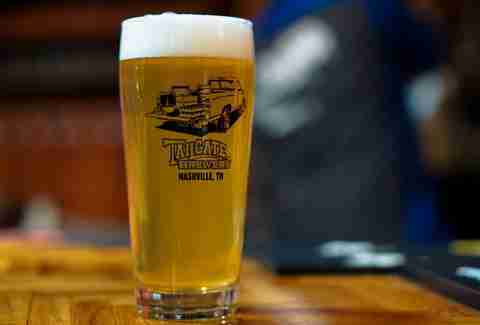 TailGate actually brews some of their small-batch specialty recipes in their pub-and-pizzeria operation at the top of Music Row, but they also have a huge production facility in West Nashville that is another fantastic family-friendly spot to watch a game or two. Between the two facilities, they always have at least 30 different beers on tap that change hourly, from traditional to exotic recipes, and the pizzas are pretty solid, too. Above-average Mexican food plus a nice selection of cervezas and specialty cocktails make this a fine choice to while away an afternoon watching the Tricolor take on the world. Even if you’re a fan of the US team, there's no reason to be bitter. At least root for your hemisphere. Cinco's drink specials will ease your ire. ¡Viva Mexico! 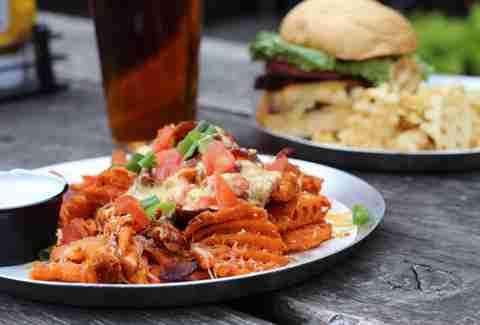 With one of Nashville’s craftiest beer menus and an offering of specialty burgers that rival any in the city, M.L.Rose has been a popular place to watch sports since they first opened almost a decade ago. The walls are papered with fun pop-culture-riffing posters, and their waffle fries are also the perfect ketchup-delivery device, so they’ve got that going for them, too. You might need to take your shoes off to count the number of bars and restaurants that have occupied this apparently cursed location just across the Cumberland River in the Fifth & Main development, so this comfortable little sports bar that is the latest occupant is a bit of an underdog. So why not patronize them and root for another long shot -- the Red Tide of Panama? Put down a thousand-dollar bet on them and you could be a millionaire if they win! This Five Points stalwart is without a doubt one of the most diverse sports bars in town, welcoming smokers and non-smokers alike (with a smoke-free zone at the back bar), LGBTQ fans, intramural sports teams, and followers of teams from every city in every league who watch games on their 28 HD televisions. Even Vandy football fans -- all two of them -- probably hunker down here. Its chill vibe makes this a favorite haunt for folks who aren’t into a bunch of drama with their sports. Admit it, there’s always a little downtime in a two-hour-long soccer game, so it’s nice to have some distractions. 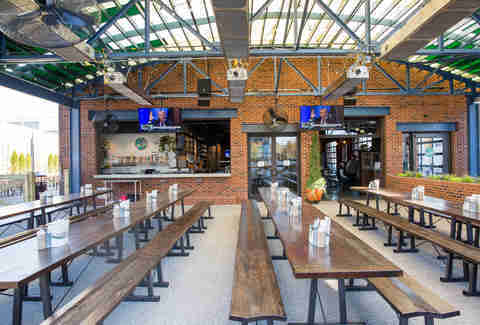 Martin’s huge beer garden on the top floor of their downtown mothership location offers the “killer B’s:” barbecue, burgers, beer, bourbon, and big screens. Wait, the game’s already over? Chris Chamberlain is a food, drink, and travel writer based in Nashville. Follow him @CeeElCee.